Helping To Make Your World Beautiful Since 1991 At Ford Painting Professionals, we know from experiences that of all the things you can do to raise the value of your property, getting it Professionally Painted gets you the most for your MONEY!!! Of all the things you can do to protect your investment, the Paint on your Home or Building is the "barrier" or "skin" between the elements and your investment. With Hawaii’s High Ultra Violet Rays, Salt, Rain and Wind you need to protect your investment with a Top Quality Coating… And get it done by a PROFESSIONAL!!! Discover the Difference With our great services and expert workmanship, we stand by our motto, "It cost less to do it right the first time!" 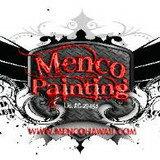 With painting preparation is the key to a lasting and durable paint coating. It's easy to discover the difference Ford Painting Professionals has to offer. Call us when you need pressure washing, wall covering, minor carpentry, concrete spall repair, and all your finish painting needs. Whether you need work on new construction or some minor remodeling, Ford Painting Professionals can do it. 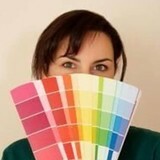 We have more than 16 years of experience, and our friendly, polite, and professional staff is knowledgeable and able to offer color consultations. 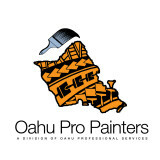 We service all of Oahu and the outer islands. 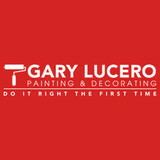 So for a neat and clean locally owned and operated company, call on us anytime for a FAST and FREE estimate!! !